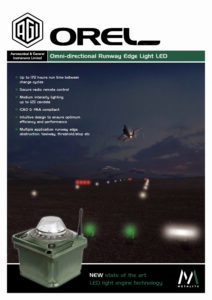 Our new generation OREL LED is our flagship military product for use on visual or instrument non-precision runways, it is available in all major aviation colours allowing for a full range of military airfield applications including IR for NVG operations. Its robust design and construction ensures years of trouble free use even in the harshest environments. 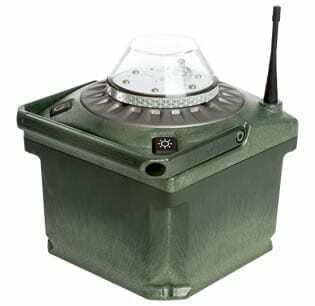 The OREL LED has the following features as standard, 125cd light output, multiple intensities including flashing, manual & radio control operation using MESH repeating network, this allows virtually unlimited range when lights are within range of each other within the network, optional photo-cell allowing dusk to dawn operation and easy drop in charging. Compliant to FAA AC 150/5245-46D L861, ICAO Annex 14 and STANAG 3534 the OREL LED is suitable not only for military applications but suitable for civilian pilots who may have to also use the military airstrip. Metalite’s custom designed state of the art LED light source & unique lens arrangement provides the OREL LED with efficiency which is second to none, providing unrivalled battery run times and highly efficient charging cycles resulting in a lowered total cost of ownership.